It’s the series of the year in the Big West Conference, a battle between two red-hot Top 25 clubs — and it doesn’t involve Cal State Fullerton. This year, No. 18 UC Irvine and No. 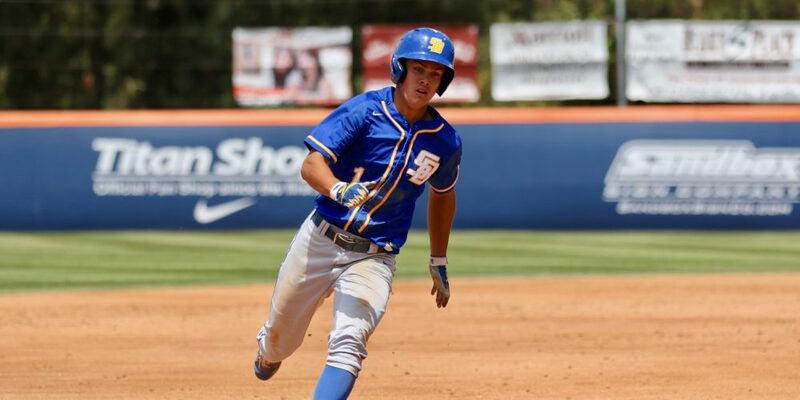 23 UC Santa Barbara are the class of the Big West, and they’ll face off in a clash between two different teams with styles of play this weekend in Santa Barbara. Both teams rank among the conference leaders in key offensive, pitching and defensive categories, but they are built very differently. The Gauchos are an offensive bunch, leading the Big West and ranking 24th nationally in scoring (7.5 runs per game), and seventh nationally in slugging (.492). Irvine’s offense has gotten going after a slow start and ranks second in the league and 56th nationally in scoring (6.7 runs per game), but just 125th in slugging (.397). Aside from masher Brandon Lewis, the ‘Eaters rely more on execution and situational hitting than extra-base hits, whereas the Gauchos are loaded with power and lean on it heavily. UCSB was plenty physical last year too, but that physicality didn’t translate into this kind of production in 2018, when the Gauchos struggled to a 27-28-1 finish, and a 10-14 mark in the Big West. They’re sitting pretty right now at 24-5 overall and 2-1 in the league, and the turnaround is largely due to a change in offensive philosophy. Santa Barbara coach Andrew Checketts credits new assistants Donegal Fergus and Matt Fonteno with implementing that new approach. “We had some big guys, we always looked good getting off the bus. That hasn’t been something we were short on, but I think it was more of an approach. Donegal’s been good, he wants to hit the ball in the air and over the fence,” Checketts said.